1 NATURAL BRILLIANCE: There is a minimum level of natural brilliance that is required before a student can think of First Class. I do not intend to put limit to one’s capabilities, for I believe like most people that impossible is nothing. However, realistically speaking, that is an exception to the rule. Most First Class students have a track record from lower levels of education. That is the first foundation. 2, THE POWER OF DREAM: Most first class students dream. I do not mean metaphysical dream, I mean the Luther King definition – vision, forward-looking, even though awake. In secondary school I had a friend who once looked up and said, ‘the last time someone made an aggregate 6 (i.e minimum of 6 A1’s in SSCE) in this school was 12 years ago, I want to be the next’. He made it. Same boy told me he wanted to ‘enter the back of JAMB brochure’, meaning he wanted to be among the top 3 JAMB students in Nigeria (JAMB print at the back of the brochure for a year the names of the best 3 candidates in the prior year’s examinations). He didn’t make it, but he scored 296. When this friend of mine entered Ife, he went to his faculty’s board, where names of best students are engraved every year, looked up and said, ‘when I leave this school after five years I want my name written on this board’. He worked for it. He didn’t make it. But he not only came out with a CGPA north of 4.7 (of the possible 5.0) but he also emerged as one of his faculty’s best. After that, he told someone that he wanted to have his PhD without doing Master’s degree. The person told him it was hardly possibly, and counted on his fingertips the number of Nigerians that performed that feat. My friend proved our doubter wrong. He got the PhD at age 29, skipping Master’s. That is the power of dream. 3. COMPETITION: What most people don’t know is that there is usually a subtle competition among best students in classes. The competition is not necessarily unhealthy. They may be –and in fact usually are – friends, but they compete. 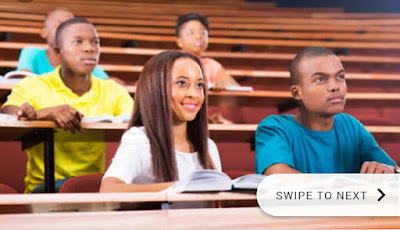 In my undergraduate days, story is told of a guy that, at the beginning of every semester, went to ask what X, the best student in the class immediately preceding his, scored in each course and he would tell those that cared to listen to him that he would break the record and score higher than him. He did, most times. Most First Class students compete. Each wants to be the highest scorer in each subject. That is why it is always good to go to a competitive institution, rather than enjoy local championship status without stiff competition. 4. CALCULATION: When you see some students reading a purely theoretical course and having calculator by the side, don’t think they are insane or doing ‘over-syllabus’. No they are just running the permutations – if I score B in this course, what will my CGPA be? What is the worst case scenario? What is the best case scenario? How many A’s do I need to make X-CGPA? etc. These are calculations that go on in their heads. Some don’t even compute their GP’s at the end of a semester, they have the template in their heads already, having done the permutations over and over again even before writing the examinations, and they just insert the course scores into their mental template. 5. OPTIMISTIC MENTALITY: Some students die many times before their academic death. How can a student gain admission into a school and the first thing he hears is, you can never make a First Class, they wont give you. Well, I don’t believe this. This is what kills many students. How can you go to battle with a defeatist mentality and expect to win? Many First Class students defy these “messengers of doom” and pursue their target optimistically. I finished from the Obafemi Awolowo University and this is one thing I must commend students of the school for. As a Jambite, what you hear are stories of one Deji Akere that shattered school records, or one Hammed Shittu that effortlessly broke any record breakable. You even hear of stories of students that had graduated since the 1970s. These are stories that motivate you, not some tale by moonlight about a sadist lecturer denying you First class. This is another very vital feature of First Class students. They don’t believe rooster and bull stories.